Rolling off Hippocrates, which world premiered at the Cannes' Critics' Week to warm reviews, doctor-turned-filmmaker Thomas Lilti delves once again into the medical world with THE COUNTRY DOCTOR (internationally known as Irreplaceable). 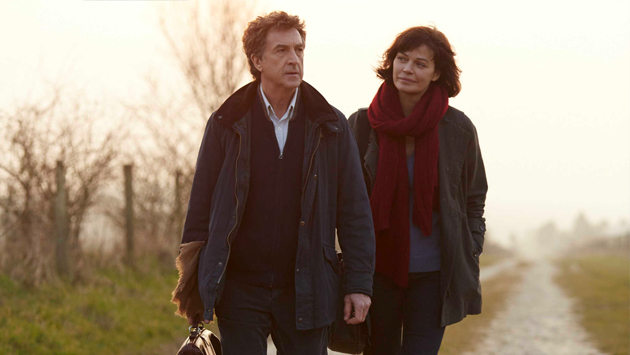 The social dramedy stars Francois Cluzet (Intouchables) as Jean-Pierre, a devoted and revered countryside doctor whose life gets rocked by Nathalie (Marianne Denicourt), a middle-age woman who has come from the city hospital to earn her chops. Challenging each other with opposite views on medicine, the pair eventually bonds and learns from one another. When Jean-Pierre falls sick, Nathalie comes from the hospital to assist him. But will she manage to adapt to this new life and to replace the man who thought he was irreplacable?